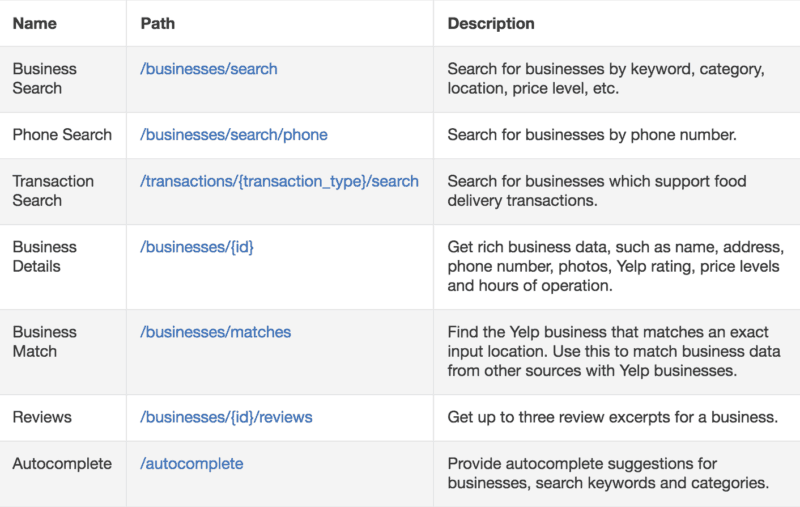 The data of over 50 million Yelp business listings isn’t just available on the Yelp website or app; it can also be available through an API — although Yelp restricts some access. API, which is short for Application Program Interface, is a way for two pieces of software to “talk” with each other. With Yelp APIs, developers can integrate important data points from Yelp listings and show them in their own custom apps or websites. This includes things like a business’s ratings, price, or category. Yelp’s other API, GraphQL also has the same function of gathering Yelp listing data. However, the data gathered through GraphQL isn’t organized in the same endpoints as Fusion. Instead, developers will need to write lines of code that specifically gathers each specific piece of data. This takes more time, but if you need to only know a specific data point then you can ask for it instead of getting a mixed bag with each endpoint in Fusion. Think of the APIs in another way: you want a candy bar. With Fusion, you’ll get a grocery bag that contains the candy bar along with other food items. With GraphQL, you just get the candy bar because it’s the only thing you requested. It should also be noted that unlike Fusion, GraphQL is still in beta, which means that the API is not ready for wide public release just yet. However, developers who want to use can do so by signing up for the Yelp Developer Beta Program. The process of typing your keywords in a search bar and getting results seems immediate, but it’s actually made up of multiple processes. For instance, if you type the keyword “breakfast” into an app’s search bar and that app works with Fusion or GraphQL, its code will “call” the Yelp database for that category’s endpoint (in Fusion) or make a “query” for that exact category (in GraphQL). By default, any app that uses Yelp’s APIs get a limited number of calls every day for free. Those using Fusion get a daily limit of 5,000 calls while GraphQL users get 10,000 queries every day. That might seem like a lot, but a few thousand people using a piece software integrated with either API will run out of queries or calls within a few hours or even minutes. Yelp offers a higher limit on a case-by-case basis. However, Yelp’s language didn’t make it clear as to whether or not companies will have to pay more to get more calls or queries (our guess is that they will have to pay up). Just because you don’t use Fusion or GraphQL for a business doesn’t mean that it won’t affect your listings. Both APIs grab data from listings whenever a user searches for anything related to a business such as categories, reviews, or price. 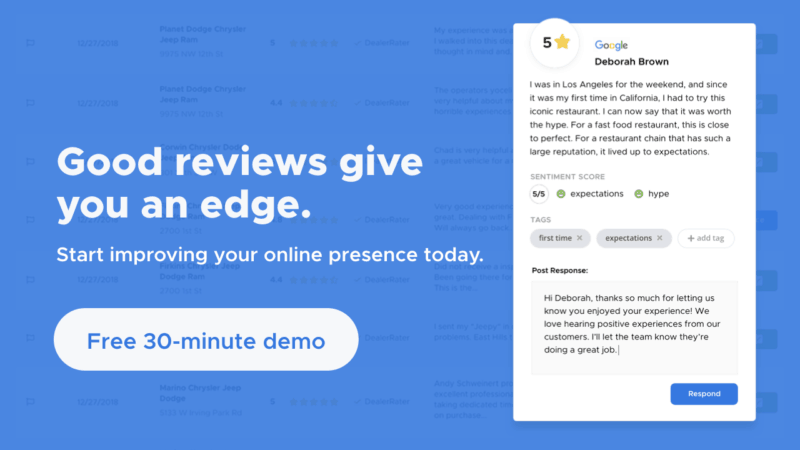 By providing correct and up-to-date information on the Yelp listing you can give potential customers more than enough information that they can use when it’s time to make a purchase decision.